Tabbed monthly calendar appointment section. Perforated memo section, telephone/address page for easy reference. Organize your schedule and learn how to help take care of our environment. Appointment book features tips for "green living" displayed each month. 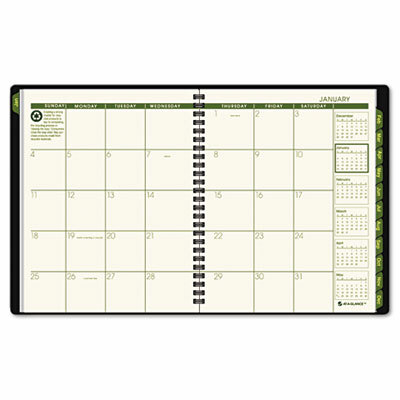 Tabbed monthly calendar appointment section, telephone/address page as well as perforated memo section for easy reference. Past, current and four future months reference.